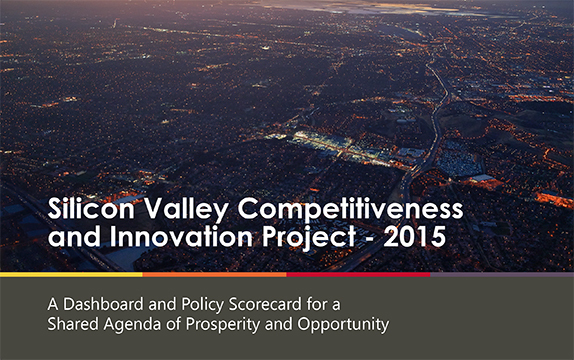 The Silicon Valley Competitiveness and Innovation Project (SVCIP) proactively identifies a data-driven, overarching economic strategy to enhance and reinforce Silicon Valley's competitive advantages in innovation, and ensure that its residents have access to the job opportunities and prosperity linked to growth in key industries. Public policies at the local, state and federal level play a key role in this economic strategy. 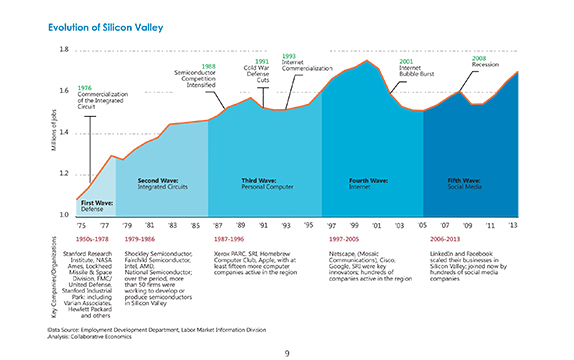 The SVCIP will monitor trends in Silicon Valley’s innovation economy to help inform a long-term public policy agenda for the region (see svcip.com for more information). 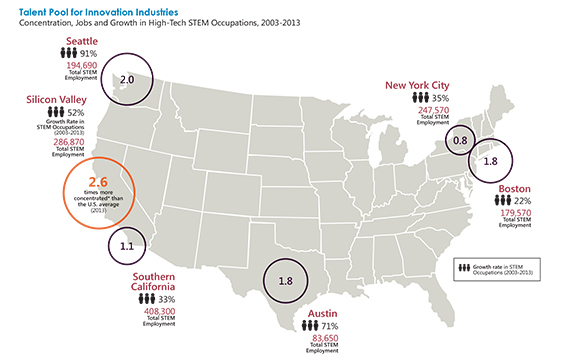 Working with an advisory council, comprised of CEOs, community and non-profit leaders, COECON identified 23 competitiveness and innovation indicators to track annually with comparisons to other U.S. innovation regions.